Today is the day! 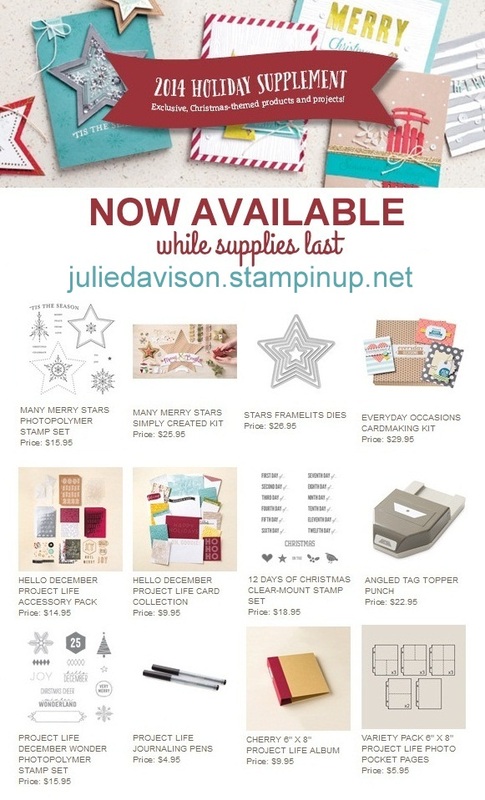 You may have gotten the Stampin' Up! Holiday Supplement in the mail. (If not, check it out here). The Holiday Supplement introduces a handful of brand new products for your holiday paper-crafting. And starting today, these exclusive new products are available to purchase -- but quantities are limited, so don't wait to order! I'm most excited about the new Many Merry Stars Simply Created Kit! We got to play with this kit at the Founder's Circle Retreat and used the stars to make ornaments and even a tree topper for the tree we decorated at our final event. The Many Merry Stars kit includes enough materials to make TWENTY-SIX different star boxes! 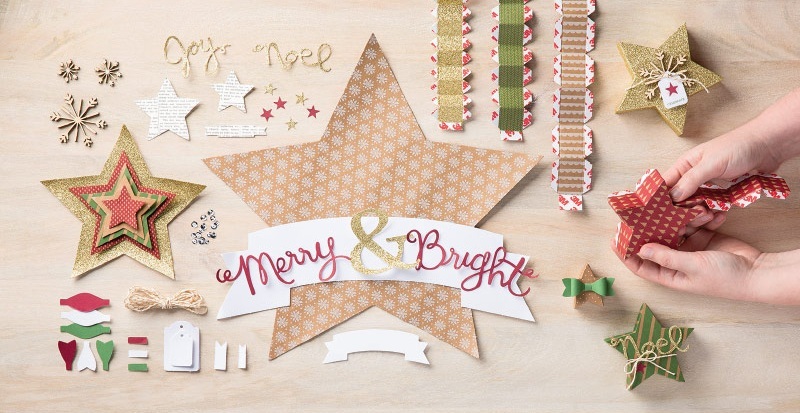 Check out more ideas for using the Many Merry Stars Kit for cards, home decor, and more! Plus a tip to fill the box with treats! Click here to Shop Online now for the Many Merry Stars Kit and all of the Holiday Supplement products.